MEASUREMENTS: 8 1/2" L (21 cm) chain. Pendant is 1-3/4" L (4 cm). 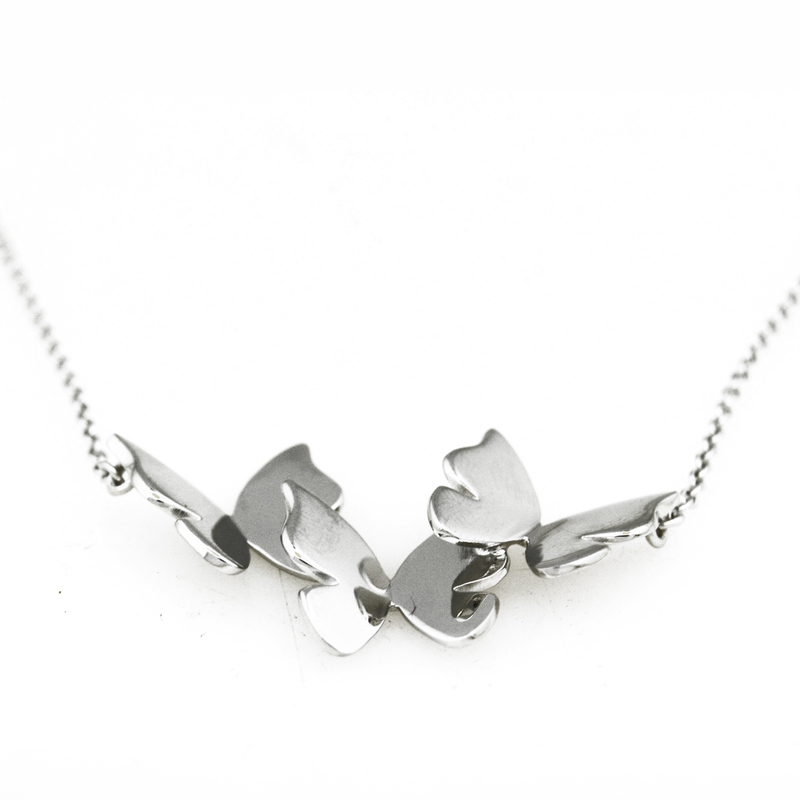 More about FinnFeelings Vivo Necklace Fly away with the beautifully crafted Vivo Necklace by FinnFeelings. The silver necklace features three dainty butterflies, connected together to look as if they are flying right off your chest. 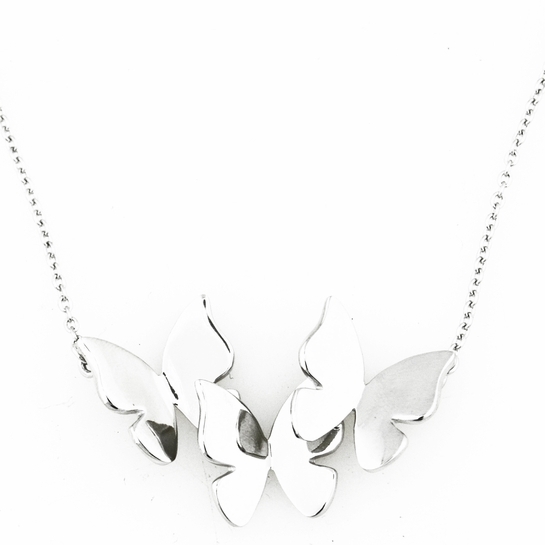 This necklace is truly an art piece, making for an excellent fashion accessory for any outfit.